Story blurb: One year ago, before Fate took a wrecking ball to his life, Nichol was happily working on his doctorate in linguistics. Now he’s hip deep in sheep, mud and collies. His late brother and mother had been well suited to life on Seacliff Farm. Nichol? Not so much. Available in e-book format – 519 KB. 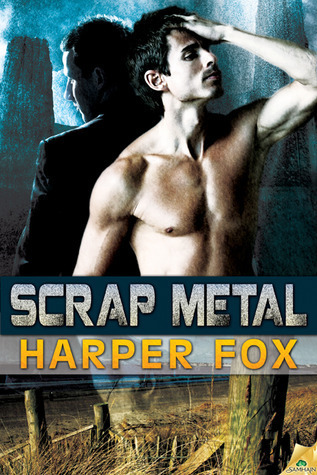 I’m still somewhat at a loss to understand what the title has to do with sheep farming, but this passing quandary didn’t detract from my enjoyment of Scrap Metal by Harper Fox [Samhain Publishing, Ltd., 2012]. The story blurb covers the rudiments of the story fairly well. 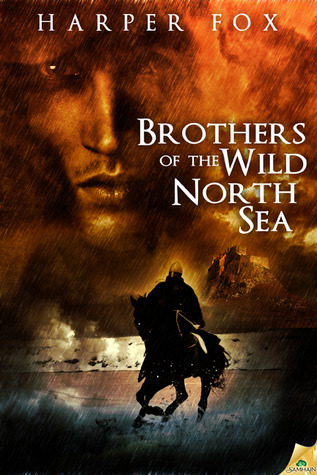 A scholarly lad (Nichol) returns to take over the family’s sheep farm located on a rugged island off the coast of Scotland. All that remains of his family is his dour grandfather (Harry), a somewhat cantankerous gentleman equal in personality to the harshness of the setting. Enter a comely young stranger, street-savvy but nonetheless on the run from some sinister elements in the big city of Glasgow, whereupon Nichol—rather rashly—invites him to stay on and help with the farm. As you can no doubt ascertain, there is nothing particularly original about the plot so far. An obligatory homecoming has been the premise of stories for ages, and a handsome stranger has been turning up in barns for just as long. However, what rescues this one from being mundane (even trite) is Ms Fox’s ability to weave characters and setting together in interesting ways. The interaction, therefore, is not just between the three main characters, but includes the craggy island, the prevailing weather and the farm as well. Ms Fox also has a fine sense of timing. I enjoyed the way she paced the growing relationship between Nichol and Cam, allowing them to bond as comrades before coupling them as lovers. Cam’s eventual earning of the grandfather’s admiration was also handled quite nicely. These are telling points, I think, because any rushing to bed by the two boys would have really cheapened it, and men of Harry’s vintage aren’t easily won over—spoken as a contemporary. There were a few minor inconsistencies, but since these were so minor they do not bear mentioning. Altogether a solid, well-written novel. Four bees. “He continued to jack, enjoying the mounting sensation of his nearing climax, when presently he became aware of a strong, musk-like odour from quite close by. It was like human sweat mixed with decaying wood or damp moss, and peering into the gloom he noticed a huge figure silently watching him from the shadows. Thanks for Dropping by. The more the merrier!! Y’all come back. 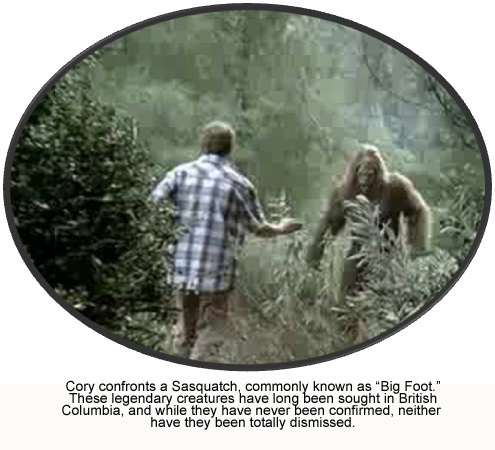 Native to East Vancouver Island and the Fraser plateau. Native to The Pacific Northwest, Yukon and Southern Alberta.